Where is Naama Millennium School? To keep the school operating as originally designed, we are asking groups and individuals to assist this cause. Based on the school’s historical data a child needs $100 to attend Naama School for a whole year. Thus with $100 donation you enable a child to stay in school by ensuring teachers are paid on time, a modest lunch is provided, the sick are provided with medicines and old school uniform are replaced. 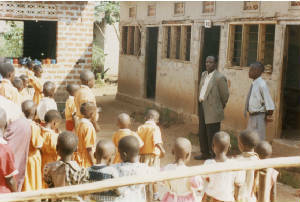 Donations in excess of the $100 are used to support developmental activities to be undertaken by school management. Donate using PayPal routed though our umbrella organization Worldwide Endeavors by Clicking on the DONATE button below. "+ Add special instructions to the seller" and type in "for Naama School."